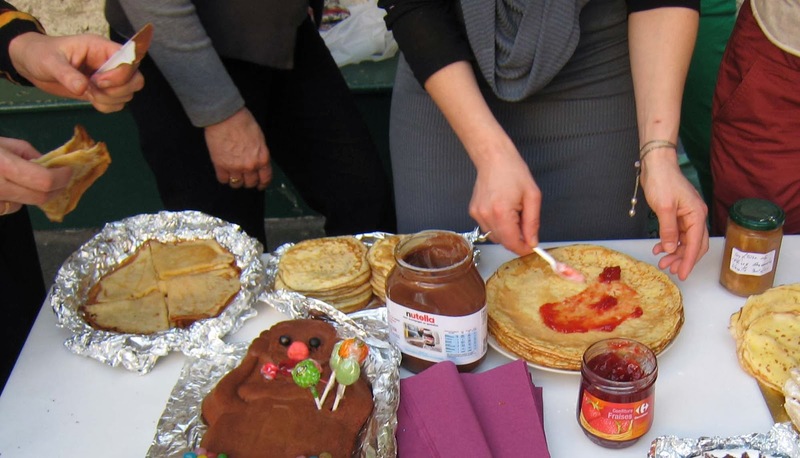 On Feb 2, all over France -- especially northern -- people eat crêpes in order to celebrate Chandeleur or Candlemas, which marks the purification of the Virgin Mary and the final presentation of the baby Jesus. It also (unofficially, incorrectly, but most commonly) marks the start to the Lent season. And while we don't actually do anything for Lent (the only thing we give up ever year for Lent is giving things up for Lent), we are big believers in a holy day whose traditions revolve around eating crêpes. That is really the kind of religious tradition I can get behind, with 100% conviction. I guess that makes me egg-nostic (ugh). Most of the Parisians will eat what I call "basic" crêpes -- the traditional street crêpe menu that almost never varies. For the meal, you can have what is actually called a galette, if you're being true to the Breton routes, or a crêpe salée (salty/savory), if you just want to distinguish from the sweet ones. A true galette is darker brown in color, with a nutty flavor, because of the buckwheat flour used in the batter. Galettes are usually filled with gruyère cheese, ham, and, if you order the "complète", also an egg. However, tradition dictates actually making the crêpe yourself on this day, flipping it in one hand and holding a coin in the other hand. If you manage to catch the crêpe, you'll get your wish -- and presumably have prosperity -- for the coming year. For the dessert crêpes, the usual filling choices are simple sugar, sugar and lemon, jam (usually apricot or strawberry), caramel (on the menu if you're lucky, and salted if you're really lucky), and the ubiquitous first choice of seemingly 99% of the population: nutella (the chocolate/hazelnut spread shown below in all its melting, oozy glory, before the folding process). However, it must be remembered that we are from San Francisco. Therefore, we believe in innovation in our food -- such as pizzas topped with goat cheese, sun-dried tomatoes, artichoke hearts, barbecued chicken, blue cheese, caramelized onions, jalapeño, and/or feta (according to my cousin Kevin: pizza is either plain or with pepperoni, and everything else is just a San Francisco abomination). And so it follows that even though the classic French crêpes are tasty (they're classic for a reason), we still get sick of them and like our crêpes to have creative fillings. The more complicated, the better. The best crêpes we've had so far have been in Bretagne -- which makes sense, since they are originally a Breton food -- and also a great spot right by Versailles, where we have this lovely peach, salted caramel, peach ice cream, whipped cream crêpe. Because of their Breton origins in apple country, crêpes are usually served with a bowl (that's bowl, not cup) of hard cider. I often walk past this crêperie, and though the url doesn't actually lead you to the restaurant's page or menu, I love the name and web address nonetheless. But I've just given you the Paris perspective. My friend Aurore, who hails from the Marseille area (and who taught me how to swear like a southerner) growls, "Those Bretons have taken over everything! 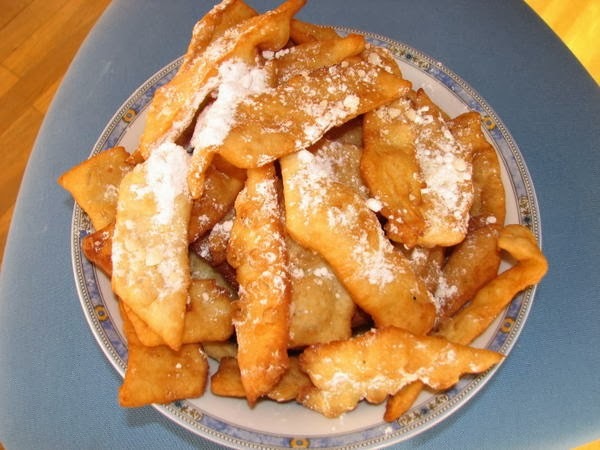 In the South, it's not crêpes for La Chandeleur, it's bugne or oreillette," which are doughnuts. I guess that would work, too, and I could even have titled this posting "Holy Doughnuts." It would be just as bad a pun, and just as delicious a tradition. And, to be even more regionally specific, Aurore informs me that "the bugnes are also called merveilles in Bordeaux, and they have them all the way up to Burgundy...And to be really precise, in Marseille (my grandfather's side) itself they don't eat oreillettes for Candlemas, they have les navettes de Saint Victor which they order and queue for at the Four des Navettes." 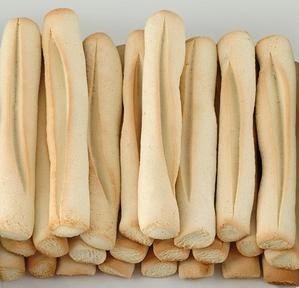 And in case you didn't understand that last phrase any better than I did, the navettes de Saint Victor are a kind of sweet bread stick, and the Four des Navettes is the bakery in Marseille that's famous for making them. She goes on to say "I feel I should point out we're traditionally preparing for Lent, and I may be mistaken but I always thought we were trying to finish the eggs and the sugar before it starts. So galettes, whose recipe doesn't require either, don't fit the bill." So it turns out that perhaps the original tradition was just crêpes, and eating galettes is yet another example of Parisians (not just ex-pats) getting it wrong. Our girls prefer crêpes, and we have a crêpe-maker, but we left it with a friend in the US. Here in France, we don't bother making the crêpes ourselves since we can easily cheat and buy pre-made crêpes; however, this negates the entire purpose of the tradition both in terms of using up sugar and eggs and also in terms of prognostication through pancake flipping. But having told you all of this, I want to contradict pretty much everything I've just said. 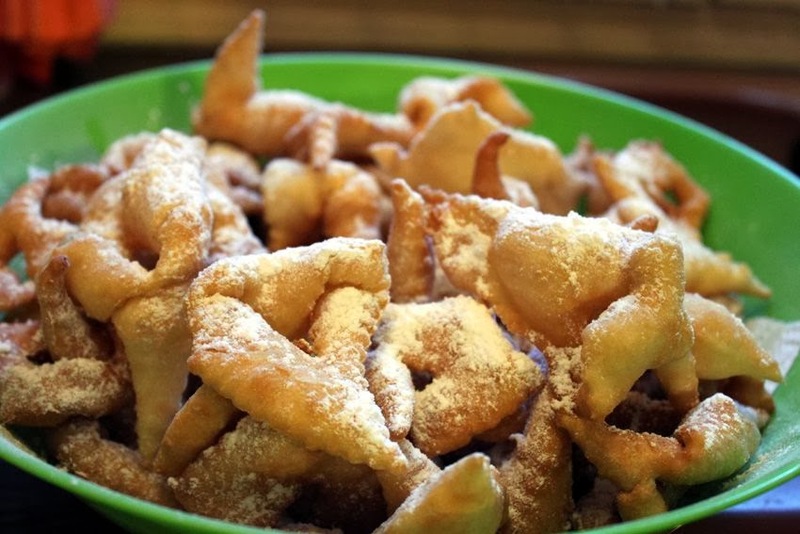 My friend Kristin, who has been living in France many years, points out that Lent really begins just after Mardi Gras -- the origins of Mardi Gras (Fat Tuesday) being the last possible day before Ash Wednesday to indulge in everything you might have to give up for Lent. In fact, Candlemas' origin is actually to celebrate the 40th day after the birth of Jesus, when according to ancient Jewish law, his parents would have held a special ceremony for him at the temple. And 40 days after Dec 25 is Feb 2. However, since it is always right before Lent, even the authentically French Catholics (such as Aurore, among nearly everybody else in France) seem to see it as a sort of "kick-off" to the Lent season. Galletout is a mild and creamy raw goat's milk cheese from Cazillac or other nearby villages in the department of Lot in the Midi-Pyrénées. It's got a subtle goat flavor, but even more a delicious delicately acidic, almost lemony, tang to it. But mostly what I get out of this cheese is that it's creamy, wet, and oozy. It's the kind of cheese that wants a butter knife for spreading. As you can probably guess from the shape of it, this is not a mass-produced, industrial cheese. Usually a Galletout is made as a farmhouse cheese, which is aged as little as two weeks, or longer for a stronger, goatier cheese. It might be called a Galletout because it's in the form of a galette -- a big, flat, pancake. But honestly, it's probably more that it's in the form of a galet -- pebble. Either way, nobody can explain why the spelling is with two Ls (Galletout instead of Galetout). Regardless of the number of Ls, it looks more like a pancake than a pebble. Just like with the holiday, there's some confusion and contradiction here. But the fact that it's nearly flat as a pancake is indisputable.